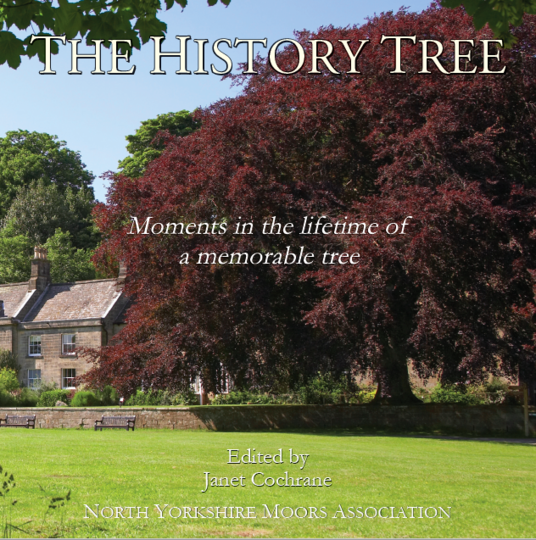 'The History Tree: Moments in the Lifetime of a Memorable Tree' The book commemorates a magnificent Copper Beech which stood at the Moors Centre, Danby, for 200 years. Professionally designed, illustrated and edited, it includes 40 articles on the fascinating history, personalities and legends of the Moors. The List of Contents is here. Scroll down to download Individual chapters! The Educational Materials are here. The 'History Tree' book (144 pages, soft cover) costs £7.50. 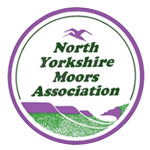 Copies are available in: Castleton (Old Chapel Tearoom), Coxwold (Shandy Hall), Danby (Moors Centre), Guisborough (Guisborough Bookshop), Helmsley (Claridges of Helmsley; The Cutprice Bookstore), Hutton le Hole (Ryedale Folk Museum), Lastingham (Lastingham Grange), Northallerton (Public Records Office), Holly Blue Cards & Gifts, Saltburn; Sutton Bank (National Park Centre); Thirsk (White Rose Books), Whitby (Captain Cook Museum; Holman’s Bookshop, Skinner Street; St Mary’s Church; Whitby Museum; The Whitby Bookshop, Church Street) and York. Email us to order by post - you can pay by BACS or cheque (add £2.50 P&P). All sales support NYMA's campaigns and projects. The 'History Tree' project included a year-long programme of themed walks and visits and a suite of educational materials, distributed for the 2018-19 school year (with a copy of the book) to all primary schools in and around the North York Moors. The Educational Materials are available here. The project was made possible by support from the Heritage Lottery Fund and the David Ross Foundation through the Land of Iron Project - and by hundreds of hours of volunteer inputs in writing, illustrating and editing the articles! “Westerdale: The Origins and Development of a Medieval Settlement”, by Carol May Wilson.